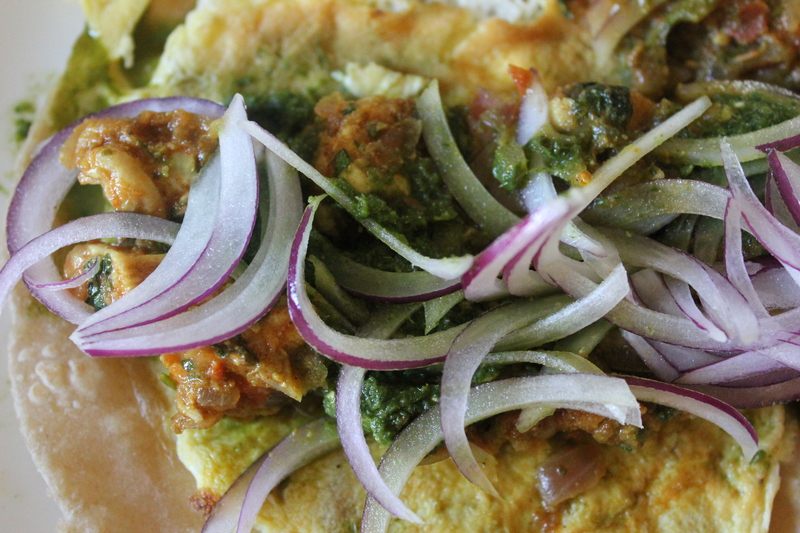 Chicken Kathi Kebab roll – one of my fave Indian street foods –> Roll it up and eat it! After over 3 months of no updates here, it feels strangely comforting to be writing another post. Over these 3 months, while I craved preparing a creative meal, lovingly plating it, and then carefully photographing it, there was so much going on… I never had the time nor the right frame of mind to do all the things I enjoy doing so much. I come here after this short hiatus, feeling like a renewed woman. So much is different, yet so much is the same. This time away from OneLifeToEat and my lovely readers has taught me so much – I realize now the strength of my family, their faith and love in me, and the surprising reservoir of strength I seem to have in myself. I cannot thank them for all the support they have given me, enough. I stand here today strong and positive, only and only because of the love of my family. I want to do a special call-out to my two amazing, beautiful sisters who have been my rock, my conscience, and my courage this past year. Challenging life situations have a way of testing true friendship. People who I thought would stand by me have fallen away, and strength and support has come from some of the most unexpected places. Friends who I hadn’t known for long have gone out of their way to show solidarity, and welcome me in their homes when I needed an escape. One such friend is Shruti. 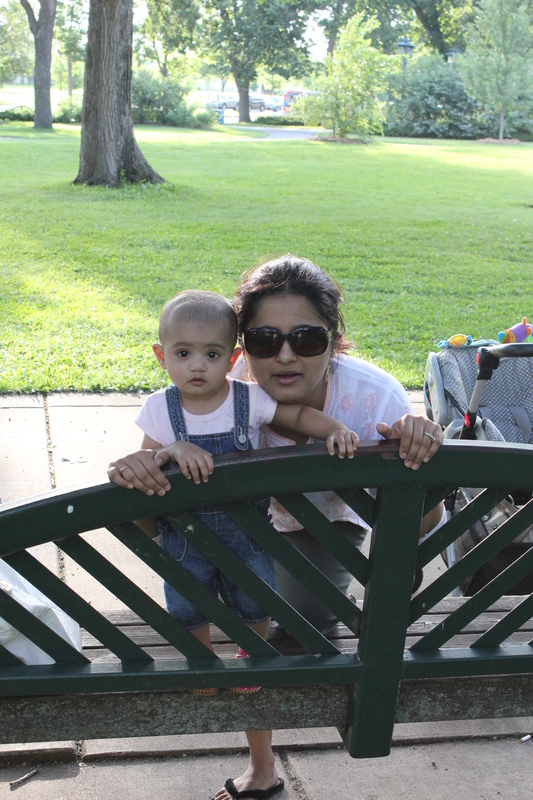 Shruti and I met through a common friend, who has also been such an amazing support to me. As fellow foodies, Shruti and I decided to do a fun cooking project together. We decided to make something that I don’t know how to prepare, and something that she loves to make – Kathi Kebab rolls. I remember eating Kathi kebab rolls for the first time on the Churchgate train station in Mumbai. The Churchgate station is a busy metro transit station in downtown Mumbai, and the final stop for many office-goers. A multitude of small food stalls and vendors are at the station, selling every type of food from the mundane to the phenomenally interesting. One such stall was a small ‘frankie’ stall that made mouth-watering chicken, paneer and vegetable rolls wrapped up in Indian flatbread. 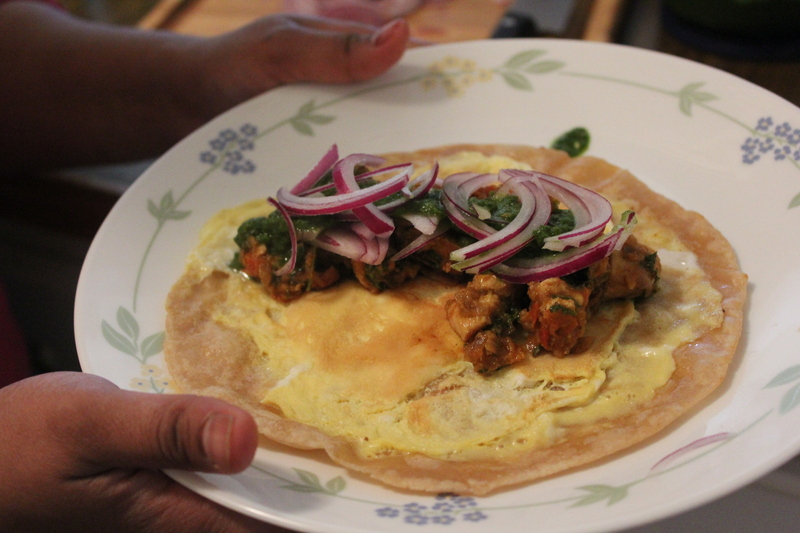 Soft Indian flatbread is coated on one side with cooked egg. 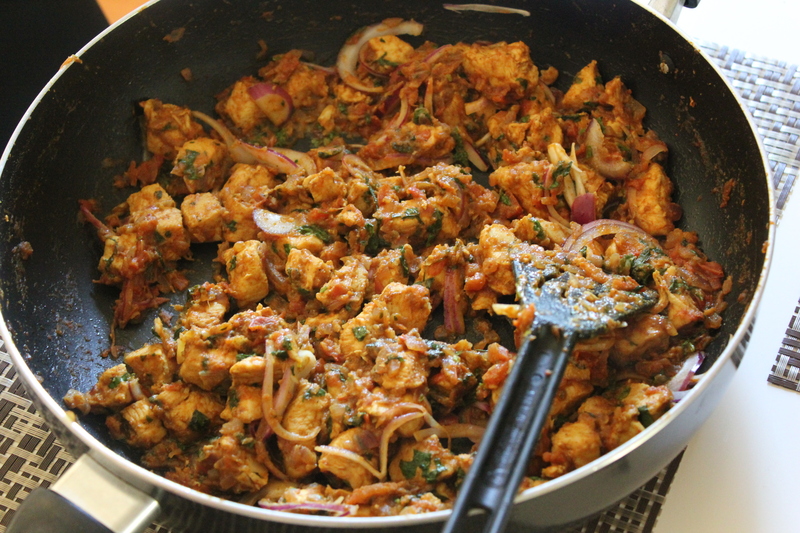 Then, a spicy chicken or paneer mixture is placed in the middle of the flatbread, which is topped with an assortment of tangy, spicy chutneys. The whole thing is rolled up and served piping hot in parchment paper! It tasted like the perfect remedy after a grueling day at the office. When I moved to Pune, India to pursue my MBA degree, I had a slightly different kind of Kathi kebab roll – it was spicier and certainly had much more character. Later, when I visited Delhi, I had a third type of Kathi roll, that had more of a charred, tandoor flavor to it and the chicken was wrapped in naan instead of flatbread. Whip the egg, salt and pepper together in a bowl and set aside. You can make Indian flatbread using fresh wheat dough from scratch, or you can buy it ready-made from any Indian grocery store. Most Indian grocers sell frozen Indian flatbread. You will also need mint and coriander chutney – you should be able to find this at any Indian grocer. Lower the heat, put a lid on the pan and allow the chicken to cook. When cooked through, check if any water has released – if it has, continue to cook until the mixture is fairly dry. 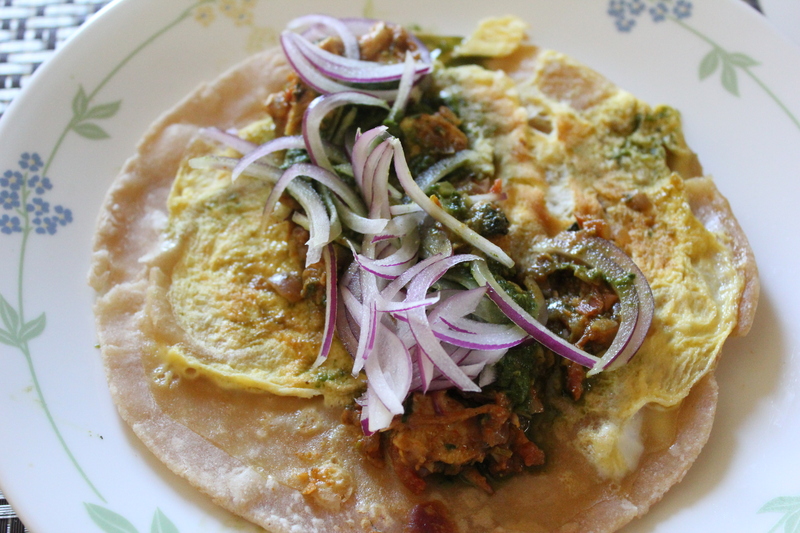 Garnish with coriander leaves and a handful of sliced onions. Set aside. Heat a large, circular pan and place one cooked Indian flatbread on it. When the flatbread is heated on one side, place a small ladle-ful of the egg mixture on one side. 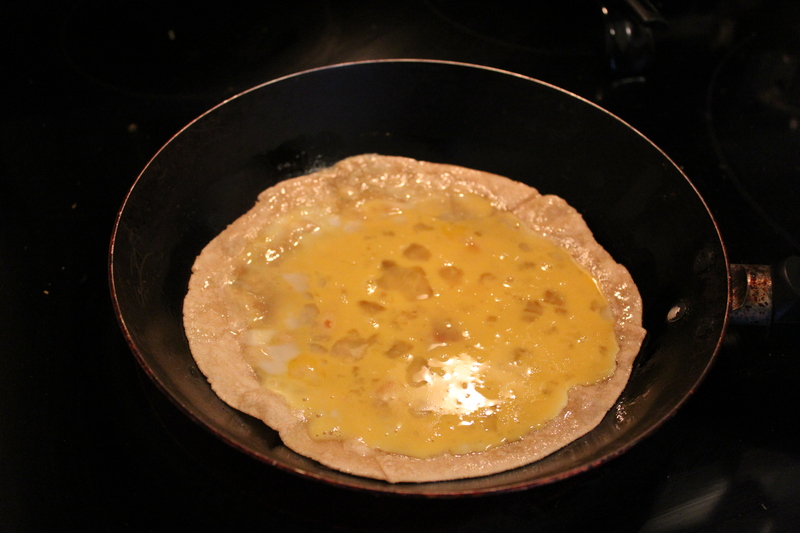 Allow the egg to cook over the flatbread over medium heat. When you can see that the egg is partially cooked and begun to stick to the flatbread, carefully flip it over to let it cook completely. When the egg has cooked through, remove and place the flatbread + egg, egg-side-up, on a plate. Place a small strip of the chicken mixture in the middle, spoon a dollop of the mint and coriander chutney, sprinkle some of the sliced red onion, roll up and eat! I love these too. To make this even more scrumptious try it with a flaky Malaysian style paratha!! Flaky Parathas is what came to my mind when I saw this recipe. Although I love the ones from the market, I prefer homemade ones. They are super easy to make and taste great! 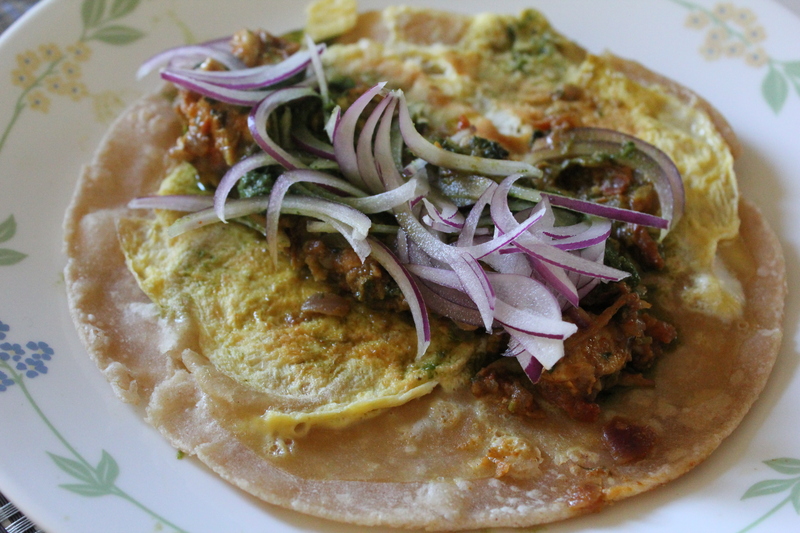 Thanks for the mouth watering Kathi rolls recipe, definitely giving it a try over the weekend. Hey Sabera. Good one. I will surely try this this weekend for my kids. What about the paneer filling. You know Vaishali is a vegetarian . Hope all is good with you. Lovely reply , a sure try for me.. I am here for the first time and I already love your blog will read it right from the beginning..